Orlando, FL – November 2, 2017 – iFLY Orlando, the world’s first indoor skydiving facility with dual wind tunnels, is celebrating ‘National Disability Day’ on Sunday, December 3, 2017 with an ‘All Abilities Night’ from 6 to 9 p.m. The event will benefit the Florida Hospital For Children Pediatric Rehabilitation, which provides a family-centric approach to treatment including physical therapy, occupational therapy, speech and language therapy and audiology. iFLY Empowers People with All Abilities to Take Flight by Helping Differently-abled People Realize the Dream of Flight at Monthly ‘All Abilities’ Event on November 10 from 6 p.m. to 8 p.m.
iFLY, the world’s largest indoor skydiving operator, is encouraging all individuals, despite physical and cognitive barriers, to push past limitations and take flight at iFLY Orlando’s All Abilities Event. This event has been custom designed for those with physical and cognitive challenges to create an environment of support and inclusion by making the dream of flight a reality for those in the special needs community. iFLY Orlando To Host Not-So-Spooky “Halloween Boogie” Tuesday, October 31st from 6 p.m. to 9 p.m.
Costume Flights will take place from 7-8 p.m. with arrival at 6 p.m.
FLORIDA - iFLY Fort Lauderdale To Host Not-So-Spooky “Halloween Boogie” Saturday, October 28 at 6 p.m.
iFLY Fort Lauderdale Indoor Skydiving is kicking off Halloween weekend for ghouls of all ages on Saturday, October 28, 2017. First time and experienced flyers are invited to a family-friendly event with gentle frights, flying heights, and savory bites. Park your brooms at the door and participate in our spooktacular festivities including an indoor costume flight and pumpkin grab! The Pumpkin Grab will take place at 8 p.m. Flyers have 60 seconds to grab and hold as many pumpkins as they can! Ft. Lauderdale, FL. – Sept. 1, 2017 – They can fly, they can fly, they can fly! Children and teens aged 4–16 can now enjoy one-on-one indoor skydiving coaching at iFLY Fort Lauderdale’s new Flight School. Students learn a progression of flying skills in a fun group setting, during sessions led by a flight instructor who is highly trained in safety standards and certified by the International Bodyflight Association (IBA). 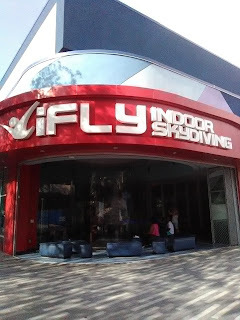 iFLY is the world’s largest indoor skydiving operation. Each weekly session, which is a two-hour experience, includes a team briefing, warm-up with stretching, five minutes of flight time with additional shared time, two video clips of flight for students to keep, debrief with flight video review, logging of flight time and skills in a personal logbook, and light, healthy snacks. Each student receives exclusive Flight School member discounts on personal flight gear. iFLY Empowers People with All Abilities to Take Flight by Helping Differently-abled People Realize the Dream of Flight at Monthly ‘All Abilities’ Event on September 27 from 6 p.m. to 8 p.m.
iFLY Orlando Invites Teachers and Administrators to Experience the Mind-Blowing Learning of its STEM Education Program at the Open House on August 24 from 5 p.m. to 7 p.m. - Educators Can Even Take a Flight! at the Open House on August 24 from 5 p.m. to 7 p.m. Educators Can Even Take a Flight! 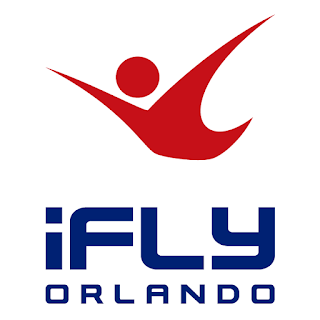 iFLY, the world’s largest indoor skydiving operator, invites Orlando-area teachers and administrators to take education to new heights. Tour iFLY’s twobrand-new, state-of-the-art recirculating vertical wind tunnels in its newly opened Orlando facility – the only iFLY in the country that has dual tunnels –to learn about its STEM (Science, Technology, Engineering and Mathematics) Education Program. 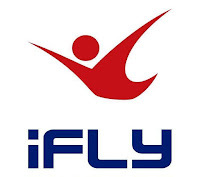 Discover why thousands of schools across the county have chosen iFLY for STEM Education field trips. This open house will include demonstrations, labs, refreshments and educators can even take a flight! Arrival and check-in: 5 p.m.
Ball Demonstration in the Wind Tunnel: 6 p.m. Flight Class: 6:15 p.m. and 6:30 p.m.